If you are visiting South Georgia or the South Sandwich Islands in order to undertake scientific research, you will require a ‘Regulated Activity Permit’. The Regulated Activity Permit application is intended to help us determine if the proposed research is feasible and if so, what additional assessments and permits may be required. GSGSSI opperates a system of tiered applications depending on the complexity of the project. To determine what category of application you need and to download the necessary forms please go to the Regulated Activity Permit page here. An archive of some previous projects which have been undertaken on South Georgia & the South Sandwich Islands are listed here. 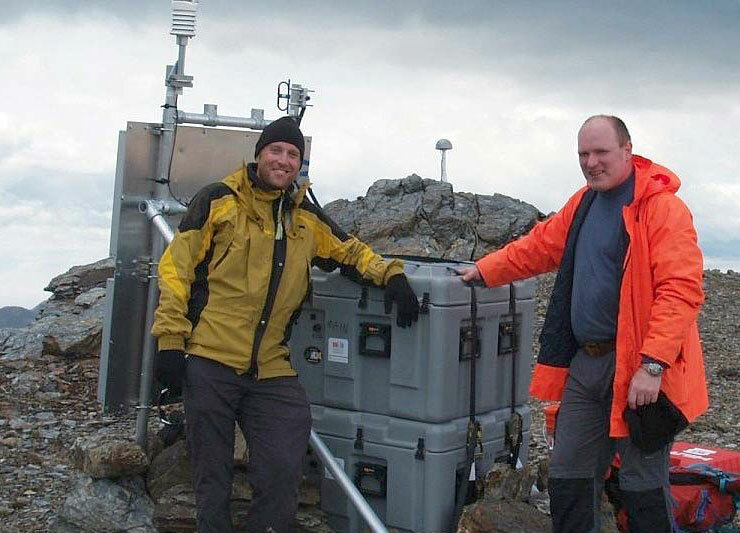 Professor Felix Norman Teferle and Seth White at the KEP Geodetic Observatory.